The forecast still looks good for tonight for possible auroras, but let’s break it down so you’ll know what to expect. First off, last night and this morning there has been zero activity. Between 10 a.m. and 1 p.m. today, the Kp index, a measure of magnetic activity in the upper atmosphere, is forecast to reach “5.” Kp can range form “0” to “9.” The higher the number the more likely we are to see northern lights. When the Kp reaches 5, skywatchers in the northern regions of the northern border states can generally see the aurora, but it’s on the quiet side — a low bright arc with few faint rays dancing about late in the evening. Kp 5 is the equivalent of a G1 or minor geomagnetic storm. When the index reaches 6, it becomes a moderate or G2 storm. That means the aurora is more widespread and visible across New York state, Michigan, Wisconsin, Minnesota, North Dakota and so on. You might even see a little from northern Illinois. Next, let’s makes sense of the forecast times. They’re in Universal Time. To convert to Central Daylight Time, we subtract 5 hours, so 15-18 UT = 10 a.m. to 1 p.m. Central Time. Subtract 4 for Eastern, 6 for Mountain and 7 for Pacific. The storm strengthens to the G2 level from 18-21 UT or 1-4 p.m. Central Time, the middle of this afternoon. Perfect for northern European observers but not for us in the U.S. because the sun’s still up! Between 00-03 UT on March 24 — or 7-10 p.m. Central Time tonight (remember you have to subtract 5 hours) — activity declines to Kp 5 (minor storm) and stays that way through 1 a.m. (06 UT) Sunday morning. Almost anything can happen when it comes to the aurora. I’ve seen it appear right on schedule, show up early or late or not at all! Aurora chasers know how capricious the “lights” can be. If you don’t already have a good aurora-viewing spot, take a drive today to find a field or road away from city lights with a wide open view to the north. Then check the northern sky tonight as soon as it gets dark. Go out again an hour later for another look. If you’re dedicated you’ll do this till midnight. If you’re really, really dedicated you’ll set your alarm for yet another look around 2-3 a.m. tomorrow morning. For photography, you’ll need a tripod and a camera that can take at least a 15-second-long time exposure. A wide angle lens is best. Set both the lens and camera to manual (M), focus carefully on a bright star, set the ISO to 1600 and expose at your widest lens setting (f/2.8-4.5) for 15-30 seconds. That’ll at least get you in the ballpark. You’ll find more tips here. Thankfully, the moon won’t rise until around 10:30-11 p.m., so we’ll have a decent amount of dark sky for the aurora to do its thing — should it appear. Good luck and clear skies! Ive noticed how thin whispy clouds can look like aurora.in fact I saw some last night and still can’t decide if it was thin Cirrus or aurora? streaming down from the north .it wasn’t highly exotic clouds like nacreous or noccullient which I’ve seen before,well noccullient but not nacreous clouds which have escaped me.plus its too late for nacreous and too early in the year for noccullient. Since the aurora was at zero Kp last night it would have been cirrus. I’ve been in the same situation a number of times. I watch them for a while and if they drift in one direction (usually west around here) I know they’re cirrus. When in doubt I’ll take a picture, and if they’re green it’s probably an aurora! What’s the cloud cover like towards Duluth tonight? It’s mostly clear. Just a few high, thin clouds. Supposed to stay mostly clear till after midnight. 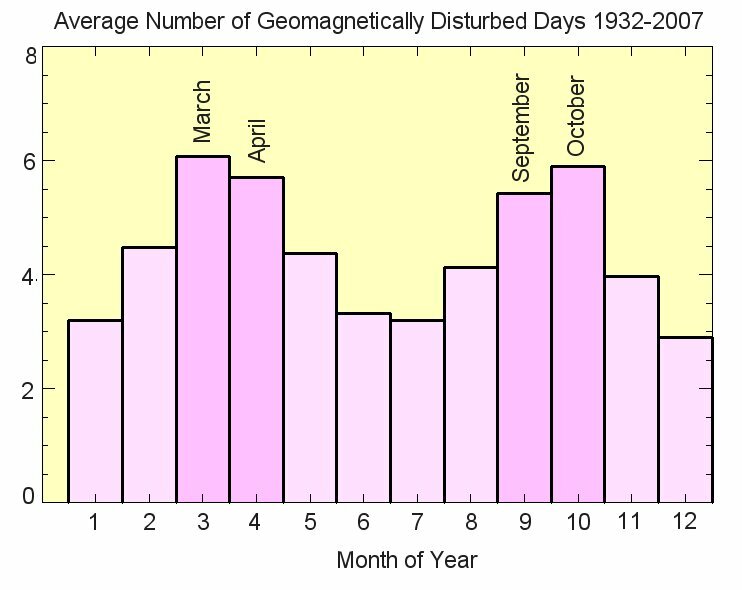 In the Minneapolis StarTribune article, you mention that spring and fall are the best times of the year to see the aurorae in MN. Why not winter? Thank you for the update Bob. As of 9:45pm CDT, there are no lights visible just north of Fargo, ND. Our fingers are crossed.. Thanks, Clay for reporting in. I just looked here at 11:40 and nothing in Duluth. PS I love that moon photo and those four large craters in a row on the terminator. They wouldn’t be so apparent without the lower sun angle. Get some sleep! Thanks for the sleep wishes, bkelly. I got a few naps in and had a good sleep last night. I’ve always enjoyed that necklace of craters (Langrenus, Vendelius, Petavius and Furnerius).